The rumor claims that the Avengers cast, or certain members of the Avengers cast, is unhappy with Brie Larson being the face of the MCU going forward. It's said one particular actress - hinted at it being Elizabeth Olsen - feel they are getting pushed aside, that they are getting treated differently. It's claimed the release of the Captain Marvel movie this weekend will prove the Avengers cast members correct, that "Brie Larson is not the right fit for this character, for this franchise, and that she will be found out when the movie is released." 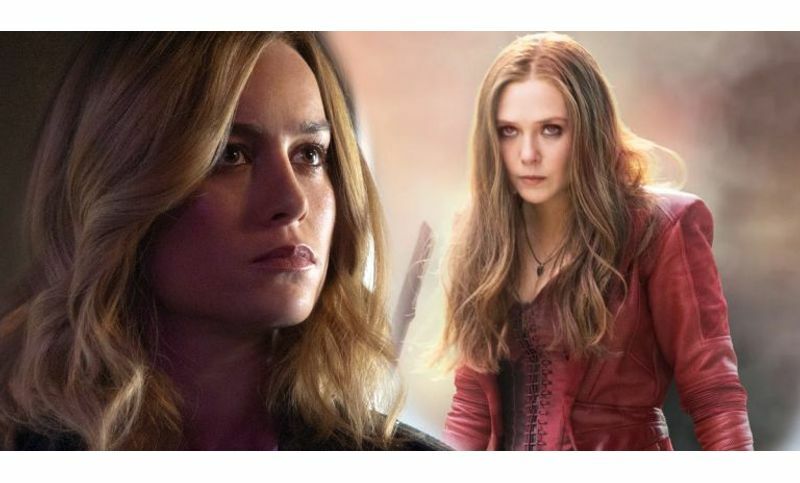 Film Gob on YouTube offers that Marvel is worried and that Disney CEO Bob Iger is unhappy with Marvel Studios president Kevin Feige as Feige is the only who has been backing Brie Larson all this time. Iger is said to be "unhappy with the direction of Captain Marvel," and also "there is now uncertainty about Captain Marvel's future in the MCU." The YouTuber further claims that Brie Larson and Captain Marvel could get killed off earlier than Larson's Marvel contract because of the potential fallout. Obviously, it is unknown if the rumor is true, but it could well be legit as there is an ongoing Captain Marvel controversy, and the Washington Post even confirmed the film is undergoing a major PR nightmare. Bob Iger doesn't want another "Star Wars: The Last Jedi" on Disney's hands, which has caused fans to stop supporting Star Wars leading to Han Solo failing at the box office and Disney placing its Star Wars movies on hiatus. As I have questioned many times, will the MCU share a similar fate because of Brie Larson, Kevin Feige, and Captain Marvel? Brie Larson and Samuel L. Jackson are also both in the hot seat, as Larson has been in trouble for politically correct comments about white dudes. Regarding Jackson, he recently compared President Donald Trump to a slave plantation owner and f-bombed the president. Regardless of what side of the political spectrum you land on when you are in business and have to answer to investors, it's not a good thing to alienate your audience — just ask Sony, director Paul Feig, and the 2016 Ghostbusters. Larson is supposed to star in seven movies and be the new face of the MCU, which is something to be seriously concerned about if the movie fails. Try to use an active verb instead." data-pwa-id="pwa-78D19D2416F5050713AAF4C3F9B572C6" data-pwa-rule-id="null" data-pwa-suggestions="">be found out when the movie is released."